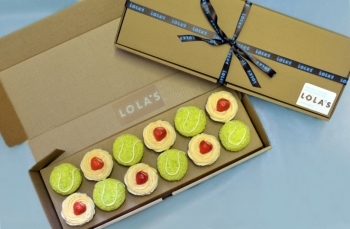 The Wimbledon Tennis Championship has started and what better way to celebrate the time-honoured event than with a LOLA’s TENNIS cupcake box. It’ll be game, set and match with a delicious strawberries & cream cupcake combined in a box with a special vanilla pod tennis ball cupcake. LOLA’s strawberry & cream cupcake is a delicious vanilla cupcake base topped with a fresh strawberry buttercream and a whole strawberry to finish. 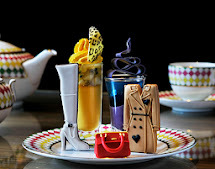 27,000 kilos of strawberries and 7000 litres of cream are eaten every year at the championships, so nothing says tennis more than this cupcake combination!